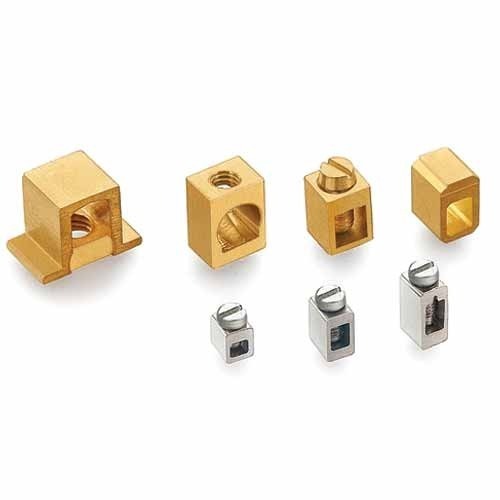 Being a customer-focused organization, we are engaged in offering a wide and exotic assortment of Brass And Copper Pole Terminals. The pole terminals offered by us are for PCB & MCB switches that are widely used in poles to with stand a variety of power supply passed through them. These terminals are manufactured by our experts using heavy and high quality material in order to provide accuracy and reliability in power supply to the components. Moreover, pole terminals are widely used in high voltage supplies to avoid any interference with other devices.